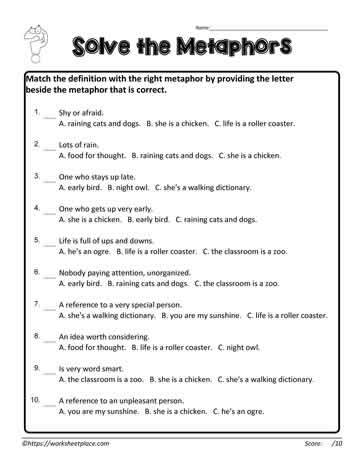 Metaphor worksheets for 4th and 5th grades. Metaphor worksheets have answers on the second page. ELA worksheets for metaphors.